Easy to remove whip from the mounting base with an N-connector. 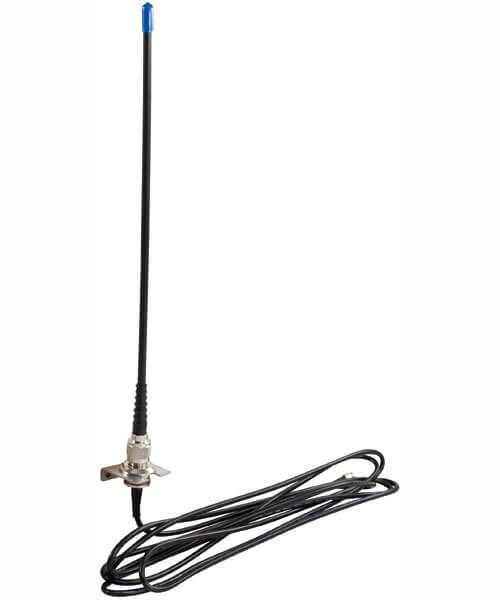 The ANT433S is a Ground Independent Helical Whip antenna with a length of 38cm. The base is made from a high grade N-connector to allow the whip antenna to be disconnected from the base. The antenna comes standard with a universal mounting bracket for wall or roof installations and includes 3.6 metres of low loss Cellfoil coaxial cable terminated with a SMA connector.